JUNE 5, 2015, WASHINGTON (AFNS) – Air Force leaders announced June 4 a change to the decision authority for involuntary separations for enlisted Airmen diagnosed with gender dysphoria or who identify themselves as transgender. 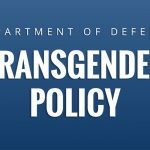 “Though the Air Force policy regarding involuntary separation of gender dysphoric Airmen has not changed, the elevation of decision authority to the director, Air Force Review Boards Agency, ensures the ability to consistently apply the existing policy,” said Daniel Sitterly, the Principal Deputy Assistant Secretary of the Air Force for Manpower and Reserve Affairs. This change follows a similar one instituted by the Army in March of this year. Neither gender dysphoria nor self-identification as transgender is an automatic circumstance that generates involuntary separation. A recommendation for discharge because of gender dysphoria must be supported by a report of evaluation by a psychiatrist or Ph.D.-level clinical psychologist. 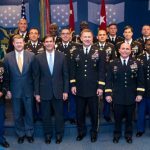 In addition, after consultation with medical professionals, there must be a commander determination that the condition interferes with duty requirements — including potential deployment — or duty performance. 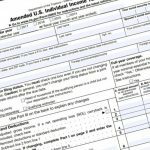 Identification as transgender, absent a record of poor duty performance, misconduct, or a medically disqualifying condition, is not a basis for involuntary separation. 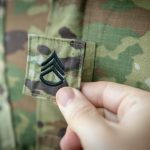 If command recommends involuntary separation of an enlisted Airman for gender dysphoria or for another reason and the enlisted Airman has self-identified as transgender, separation action will be reviewed by the Secretary of the Air Force Personnel Council for recommendation, and then to the AFRBA director, for decision. Officer involuntary administrative separation decision authority remains with the AFRBA director.